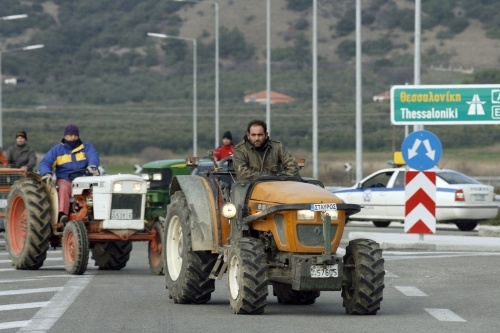 Image: Greek farmers protest at subsidy cuts on the border with Bulgaria. On the other hand, according to February 2010 figures, Greece is currently contributing only 15 troops to NATO’s mission in Afghanistan, as against 165 from Macedonia – a non-member with one fifth of Greece’s population; 175 from Georgia; 255 from Albania; 295 from Croatia; 540 from Bulgaria; 945 from Romania; and 1,755 from Turkey. It would appear that those Balkan countries that were on the wrong side in the Cold War are somewhat readier to contribute to the Western alliance’s military efforts today than the only Balkan Christian country which enjoyed NATO protection during the Cold War, although Turkey appears readier to contribute too, despite being predominantly Muslim. Video: Greece’s membership of the EU – A short history. 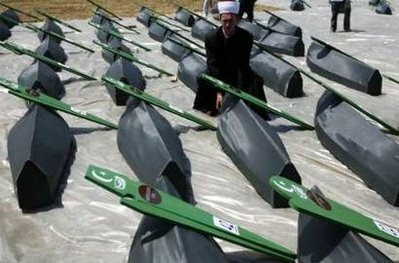 One of the myths most frequently used in attempts at justifying the Srebrenica massacre of 1995 is the myth that the fighting in the Srebrenica region was started by the Bosnian side, and that the massacre was therefore an act of ‘retaliation’ or ‘revenge’. In this interview Nihada Hodzic, a survivor of the Zaklopaca massacre of 16 May 1992, tells Daniel Toljaga of the Institute for the Research of Genocide, Canada how Bosniaks in the Srebrenica region were persecuted and killed from the first weeks of the Bosnian war in the spring of 1992 – months before Naser Oric’s oft-cited raids against the local Serb villages. From April to June 1992, Serb forces plundered and torched hundreds of Bosniak (Bosnian Muslim) villages and hamlets in the municipality (district) of Srebrenica and the neighboring municipalities of Bratunac, Vlasenica, Rogatica, and Visegrad. According to the UN war crimes tribunal’s judgment in the Naser Oric case, ‘Srebrenica town and the villages in the area held by Bosnian Muslims were constantly subjected to Serb military assaults, including artillery attacks, sniper fire, as well as occasional bombing from aircrafts. Each onslaught followed a similar pattern. Serb soldiers and paramilitaries surrounded a Bosnian Muslim village or hamlet, called upon the population to surrender their weapons, and then began with indiscriminate shelling and shooting. In most cases, they then entered the village or hamlet, expelled or killed the population, who offered no significant resistance, and destroyed their homes.’ One of these villages was Zaklopača, a small place formerly in the Vlasenica municipality near the border with Srebrenica. On 16 May 1992, Serb forces approached the village and demanded Bosniak residents to hand over their weapons. Except few hunting rifles, Bosniak residents did not have any combat weapons to defend themselves. When the Serbs learned that the residents were effectively unarmed, they blocked all exists of the village and massacred at least 63 Bosniak men, women and children. DANIEL TOLJAGA: Nihada, thank you for agreeing to take part in this interview. I am truly honored to have this opportunity. When you think of Zaklopača, do bad memories overshadow good ones? NIHADA HODZIC: First of all, I would like to sincerely thank you for the opportunity to share my experiences and broader knowledge about the events of May 16, 1992, that would befall Zaklopača and much of eastern Bosnia as the Serb aggression progressed into the heartland of Bosnia and Herzegovina. I feel extremely fortunate to be in the position of talking to you about what exactly happened on that dreadful day, instead of being among the forgotten statistics that will never be able to demand justice for what has been done to them, and to us who were lucky enough to survive. I feel fortunate to have lived; however, I feel that much of the life my family and I knew died together with our loved ones. So to answer your question, yes, I believe that the bad events will inevitably overshadow the good memories until proper justice has been served. Though we survived, we live with the legacy and pain of this gruesome event and its memories will haunt us as long as we are alive. We would like to think of our relatives in more ‘happy’ terms, but whenever we remember how unjustly and brutally their lives were cut short, it brings us back to this sad reality we have to deal with — as we have still not seen those who committed the heinous murders brought to proper justice. DANIEL TOLJAGA: A similar crime also took place in Zaklopača in the fall of 1941, when Serb Chetniks under the command of Nazi collaborator Jezdimir Dangić barricaded 81 Bosniak men, women and children in the local mekteb (Muslim religious school) and then burned them alive. Did you ever imagine that Serbs would repeat the Zaklopača massacre in 1992 – some three years before the Srebrenica Genocide and 50 years after World War II? NIHADA HODZIC: Generally people were assured that nothing would ever happen to us – when we heard automatic weapons being fired in the distance, we were told that it was only routine ‘training’ by the armed forces. My grandfather was not as gullible however. He knew the picture looked very bleak and that something terrible was surely coming our way. You see, my grandfather Ibro Hodžić, was a survivor. He survived a line up shooting at the hands of his Serb neighbor where upon around a dozen other Muslims form the village were killed, my great grandfather included – he was killed by another Serb neighbor. My grandfather was only fifteen years old then in 1941 and you could say his quick thinking saved his life. As the intoxicated Četnik was loading another bullet to shoot, my grandfather fell to the ground just before he had pulled the trigger on his very old model shot gun. He lay there motionless for quite some time, during which more Serbs came and drilled a few more bullets into the heads of those still moaning with signs of life. My fifteen year old grandfather survived this ordeal in the 1940s just to be killed by the same people in 1992 on the steps of his own home, along with the rest of his five sons and grandson who was only sixteen at the time. But, no one could really understand my grandfather’s fears as we had a well trusted Serb neighbor Milenko Đurić (Gorčin) reassuring our safety time and time again, telling us “not even a hair will be missing from your bodies.” Unfortunately, we had trusted our Serb neighbors; we believed their deceitful lies to keep us grounded in the village. Prior to the massacre we had attempted to flee to a safe haven in Zivinice, however we were sent back with the same type of reasoning by the Serb neighbor. There is apt reasons to believe that he was directly or indirectly involved in the entire plot of the incident in Zaklopača. Gorčin played as a middleman who manipulated our fears and our trust in him as a long term neighbor and whom some even considered a great ‘friend’ in order to set the stage for a more effective premeditated “military” operation by the Serbs. We were certainly sensing the changing atmosphere and the deepening angst which was growing within our community – but we could have never imagined being betrayed in such a cruel way. DANIEL TOLJAGA: What were the first signs that the massacre was about to happen? NIHADA HODZIC: One week prior to the massacre two of my uncles and my father were arrested and brought for questioning to the Police Station in Milići. At the time my father was working in Boksit Transport, in Milići, where upon one day he along with his relative, on their way home, were taken by the reserve police and brought to the Milići police station. First however, they had asked for their identification cards, and made sure they were Muslim. Who ever had a Muslim name, they told them to form a line and to follow them to the station. When they finally reached their destination, for hours they interrogated them with petty questions. Question regarding personal family backgrounds to some other questions to which no one could give any answers to. For example they would point to a machine gun and ask whose it was – obviously no one could have known – when my father answered “I don’t know” the interrogator said “you will know” and shoved him off. At the police station my father along with hundreds of other Muslim men were shoved into a small room where he witnessed some very gruesome acts being performed on these defenseless civilian men. They were beaten beyond recognition, some defecated out of fear and it was simply a gruesome and frightening atmosphere. Shortly there after, though it seemed much longer to my father, our long time neighbor Gorčin, whom I have mentioned before, came to his ‘rescue’. Gorčin was responsible for my father’s release from the police station, and he was brought back home that same day, however my father, witnessing what he had, anticipated something far worse was brewing then we might have thought. Gorčin, again, reassured us that this would never happen again, that my father should continue to go to work, though my father had refused to go after this incident. Of course, other men where not so lucky, they were left behind at the station, and we are not sure what happened to them. There are however other smaller indicators of the massacre coming our way. About the same number of days prior, Serbs were adamantly cruising through our village in search for weapons, and demanded that everyone who had any type of weapon even “hunting guns” – that they should hand them over. In other words, they were demilitarizing our village days before the actual massacre, making sure we had no way of defending ourselves, even though no one had claims to any type of lethal weapons anyway. Also, just about when the massacre was to occur, my mother (Najla Hodžić) was in her vegetable garden just outside of our home, when Police jeeps and cars came flooding into our small town. It was noon, on a very beautiful and sunny Spring day on May 16, 1992. There were a few cars (she could not recall the exact number as they were driving back and forth through the village), in front of them a police car and following them a white jeep with the slogan “pokolj” (slaughter) written in Cyrillic across the vehicle. Our house was located right next to the main road, so my mother saw everything in clear view as they were rolling into the village, coming from the main road leading from the town Milići. She recalls that the vehicles had been packed with Četniks, with long beards, some with nylon socks covering their heads, and loaded Kalashnikovs across their broad chests. Upon seeing this, my mother hurriedly motioned my oldest uncle Bećir Hodžić (who was helping my mother around the garden) to run, yet his last words to my mother were “don’t worry Sister-in-law everything is going to be alright – don’t be afraid” when he was spotted by the Četniks and taken away, not to be seen alive again. DANIEL TOLJAGA: At this point, you and your mother were also in immediate danger of being killed. Can you tell us what happened next? NIHADA HODZIC: Once the vehicles moved further into town, my mother ran into the house and franticly began to pack the bare essentials (some clean clothes, food and a few family pictures) and get my sisters and I ready for the worse possible situation. I was only a small child then, but I remember, in the midst of this frightful situation I was so obnoxious as to whine about which clothes I was going to wear – obviously I was not fully aware of the seriousness of what was about to happen. At this time, we had no idea where my father was, and thus we would remain clueless of his whereabouts until almost one year later, when we finally found out that he was alive. But back to the massacre. My mother, my two older sisters and I ran across the yard to one of my other uncle’s homes (Haso Hodžić), at which time almost all my other aunts and their kids were gathered. Just as we, along with my other five aunts and their children and few other neighbors gathered inside, the lightning bolts began to fly, and the sound of thundering bullets began to ring on all sides. My mother was with me all the time – cuddling me inside her lap and shielding me from all the harm. The bullets whizzed through the house, creating big cratered holes as they made a full impact with the concrete walls. At one point, a bullet pierced through my mothers light denim jacket, as I was still cuddling in her lap. The bullet missed us both by a hair. For another fifteen to twenty minutes, the showers of deadly bullets filled the suffocating air, killing anything that was moving – anything that was alive would have met its final death. As it calmed down, we heard my second uncle (whose house we were all in) calling upon my aunt to come out. We all did, and form the porch we saw my uncle standing at gunpoint. A Serb, was aiming at him, ready to pull the trigger any time. My dear uncle looked pale, and afraid. He asked for a cigarette, and as he reached for the lighter in his pocket, the ringing sound of Kalashnikovs went off once more, and as we were all standing on the porch, we all saw my beloved uncle murdered in front of our very own eyes. His body was thrown up into the air at least a few feet from detonation and came back crashing onto the hot asphalt, motionless and lifeless. My grandmother saw her son mercilessly killed in front of her sorrowful, teary eyes. As she frantically yelled out “My son is Dead,” the Serb (Četnik) opened fire again, chasing us back into the house, shocked, dismayed and still in disbelief of what we had seen. But my grandmother ran out, bewildered, lost and deeply hurt into the streets – suffering a mental breakdown. Through out this time, we were quite unaware of the whereabouts of my father (Ekrem Hodžić). From his perspective of the story, things followed in a different fashion from ours. While we were still inside the house, my father observed everything from the woods just above my grandfather’s house. As he saw the cars rolling into town, driving in the direction of the village ‘Gornji Zalkovik’ full of Četniks and returning empty. Curiously, my father went north into the woods to observe where they had gone while two of my uncles went down to see what was happening in town. Just as he reached into the woods the shorts began to fly. He remained in a state of shock as he began running deeper into the woods, however, unaware of where he was going he returned to the outskirts of the woods in dismay – unable to comprehend what was going on. DANIEL TOLJAGA: When the shooting stopped, I can only imagine the shock and horror you and your family had to endure. Would you mind telling us what happened immediately after the massacre? NIHADA HODZIC: As the thunder of bullets finally stopped, our small town was gasping for air – it was gasping for life. The Serbs left, the same way they came in, completing their heinous job with blood on their hands. The blood of innocence – the blood of Zaklopača. We dared to step out again, to witness that inferno, the death and destruction of this inevitable storm which plundered our town and raped it of its virtues and good life. We saw dead bodies everywhere. The smell of death permeated the entire town. Dead children, women, men. Bodies everywhere. We were in shock. The tears seemed to have almost dried up, nothing was coming out. It was like a nightmare! A terrible nightmare you desperately wished to wake up from, but never did. We covered my uncle with a blanket, and proceeded to go further into town – hoping to find survivors. We saw my eldest uncle (Bećir Hodžić) again – in a kneeling position with a cigarette still burning in between his index and middle fingers, his head bowed to the ground, and a puddle of blood next to him – he was dead too. We saw small children with their mothers lying side by side on the ground, motionless, very still – in an eternal sleep. We were told that my father was among the dead too. We couldn’t go on. My family and I decided to give our selves in (to “surrender” to the Serbs) – we thought we had no one left alive, in this highly emotional moment we were ready to die too. My father, on the other hand, was met by other men who survived and fled into the woods. Among them was my uncle Bećir’s son Amir (seventeen at the time), who told my father, that everyone in town was dead — that they were the only survivors. My father also witnessed during this time, after the massacre, Serbs came back to the village to burry their crimes into yet another mass grave. My father saw everything. From this point onward, my father’s path diverged from my mother’s, sisters’ and my own. It is a long story… We later learned that my father was indeed alive, in March of 1993 we were re-united in Zagreb, Croatia. DANIEL TOLJAGA: It is my understanding that remains of eight members of your family were located in the Zaklopača mass grave. Can you tell us more about them? NIHADA HODZIC: I have actually lost many more relatives, as our small village was very closely knit and most of us were related in some way or another. It was a relatively small village, where over 200 people were ethnic Muslim Bosniaks. Around sixty percent of the entire population of Zaklopača – somewhere around forty percent were killed and the remaining Muslim population was ethnically cleansed from the area. My grandfather was Ibro Hodžić. He was killed along with my five uncles; Becir Hodžić, Huso Hodžić with his sixteen year old son Mersudin Hodžić, also, Haso Hodžić, Hamdija Hodžić, and Safet Hodžić. The entire ten member family of Ibis Hodžić which included my cousin Naida Hodžić who was only four years old at the time she was killed. Also, members from the family Hamidović who were our extended relatives. My father, and my two first cousins, Amir and Samir Hodžić were the only male survivors from my immediate family. But it is hard to separate the pain we feel for our close relatives from the pain we feel for our neighbors and good friends. We hurt for them all! DANIEL TOLJAGA: Forensic reports indicate that the bodies of the Zaklopača massacre victims were first buried in the village, but were later dug up and relocated in order to cover up the crime – just as your father saw it happen. This looks like a well-planned operation, yet none of the people involved in this ghastly crime have ever been prosecuted. In your opinion, what should be done to put pressure on the authorities of Bosnia-Herzegovina to finally prosecute suspects for this massacre? NIHADA HODZIC: Well, I am certainly no expert in this matter. All I can say is that my family has tried various means to identify those responsible and push for some sort of justice. My family, as well as other survivors form the village, have given numerous testimonies to different sources in an attempt to find any persons responsible, who were directly involved in the massacre. Our big obstacle is that most of the people who could have or might have known these Serbs were killed. Unfortunately, or fortunately, my father was not close enough to identify any potential suspects, but we do know for certain that the Milići police force was directly involved in the Zaklopača massacre. Of course there were some attempts at questioning certain individuals, however nothing was ever established. The process has been extremely slow and exhausting, and thus far no one has been convicted nor held responsible for the crimes committed in Zaklopača in May of 1992. DANIEL TOLJAGA: The ICTY court transcripts suggest Milenko Đurić was directly involved in the events leading to the Zaklopača massacre, including demands that Bosniak villagers hand over their weapons. I find it interesting that in the chain of command, he was directly under Milomir Stanić – former mayor in charge of all civil and military authorities. Stanić’s authority also stretched to Sušica camp where Serb forces subjected 2,500 Bosniak civilians to horrific conditions, torture, rapes, and murders. Do you think that Đurić and Stanić will ever be brought to justice to face justice? NIHADA HODZIC: Unfortunately I am very pessimistic in this regard. I do not see any proper justice being served. As we have clearly seen from previous trials of Serb war criminals and their subsequent verdicts, that their given sentences are simply a superficial number, and are not completely enforced, for the most part. We do not wish to speculate on the levels of involvement ‘Gorčin’ had in the Zaklopača massacre, but we believe that he will walk free either way. We do have grounds to doubt that he may have indirectly been involved, as he did advise my uncle Haso in particular (because of their pre-war dislikes of each other) that he should give up his “weapon” insisting that my uncle had a gun and that he should hand it over to the Serbs. He also, as I said before, kept reassuring us safety and that we should all stay firm in our village as he said there was no need for us to go anywhere. No one, to this date, has been convicted of the war crimes in Zaklopača, and the current pattern in convictions do not indicate that there ever will be justice for the victims of the massacre. DANIEL TOLJAGA: Thank you for taking part in this interview. Do you have any final words? NIHADA HODZIC: Although I was very young, at the time of the Zaklopača massacre, I do live with its legacy to this day. My father still wakes up in nightmares from the haunting memories of that day, and my mother is still suffering from the side effects of shock and traumatic stress. Today, I am fighting to raise awareness in any way I can about what happened in Zaklopača on May 16, 1992, because I feel it is important to note that genocide was not limited to Srebrenica – it extended far and beyond – across all of eastern Bosnia. These were premeditated and cold blooded, calculated massacres, which targeted one particular group of people for extermination – the Muslim population – and we have to keep voicing these tragic events so that they may not be absorbed and forgotten in the pretext of larger massacres such as that of Srebrenica in 1995. I am currently in my last year of University studies, majoring in International Studies, and I wish to continue my fight on a larger political playing field, where I can demand proper justice for each and every death – each and every forgotten statistic. I wish to put a face to the number and have people remember what happened from 1992-1995 across Bosnia and Herzegovina, so that we do not repeat the same mistakes in the future. Peace still remains very elusive in Bosnia, and some of the rhetoric coming from politicians does not indicate a very optimistic future. For more on the Zaklopaca massacre, see the Srebrenica Genocide Blog. 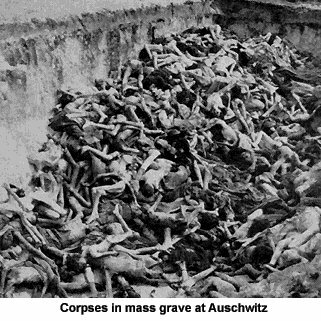 Was Jasenovac worse than Auschwitz ? 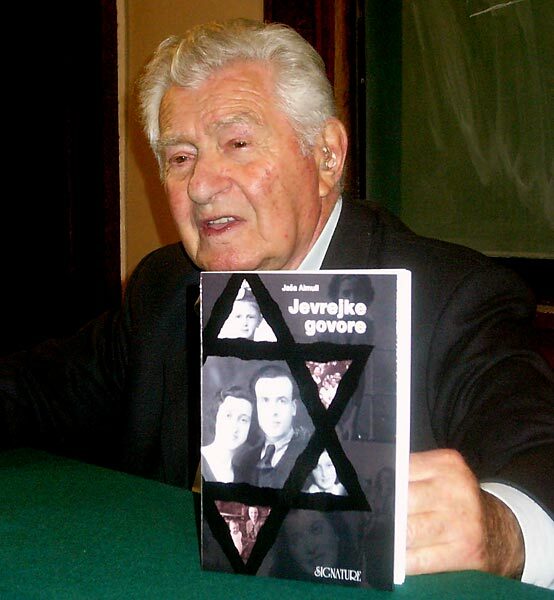 For Almuli, this ‘terror that we cannot possibly conceive, the essence of evil and horror’ was much less terrible than what went on in Jasenovac; for him, the suffering of Dr Mengele’s victims less terrible than that of the victims of the Ustashas at Jasenovac, killed with knives and iron bars. Those of us who have not experienced the horror of Auschwitz or Jasenovac cannot know what it was like; we certainly cannot say that the suffering of the victims at one camp was ‘much less terrible’ than that of the victims of the other. One cannot help but think that Almuli’s favourable comparison of Auschwitz to Jasenovac has less to do with attempting an accurate historical evaluation, and more to do with scoring Serb-nationalist points against the Croats. Hat tip: Sladjana Lazic of A Slice of Serbian Politics. The apparent paradox, of why a former senior Serbian Jewish official should be so intent on whitewashing a Serbian regime that participated in the Holocaust, is something that I have explained at length. Nevertheless, Almuli’s admittance of Nedic’s Serbia’s involvement in the Holocaust is simply a disclaimer in a series of articles in which Almuli otherwise seeks once again to defend the Serbian quisling record. Even this disclaimer – buried in the sixth article of a thirteen-part series – is couched as a plea for mitigation; Nedic’s Serbia played an ‘evil and dirty’ role in the Holocaust, ‘but it was only an accessory one’. Furthermore, in his series of articles for Vecernje novosti entitled ‘The destruction of the Serbian Jews’, Almuli claims: ‘The killers were only Germans’. This is a falsehood; as I have documented, both Nedic’s Serbian quislings and Draza Mihailovic’s Chetniks were guilty of murdering Jews. Moreover, in a total of thirteen articles, Almuli manages to avoid discussion of the Serbian quisling role in the Holocaust – which he himself admits was ‘evil and dirty’ – almost entirely. Readers may compare his exercise in minimisation with what serious Serbian historians of the subject have written. Fortunately, the Serbian nationalists and revisionists are failing in this goal. Update: Almuli’s revisionism is not limited to whitewashing Serbia’s Nazi collaborators; he has also gone on record to downplay the evil of the Auschwitz death-camp itself.